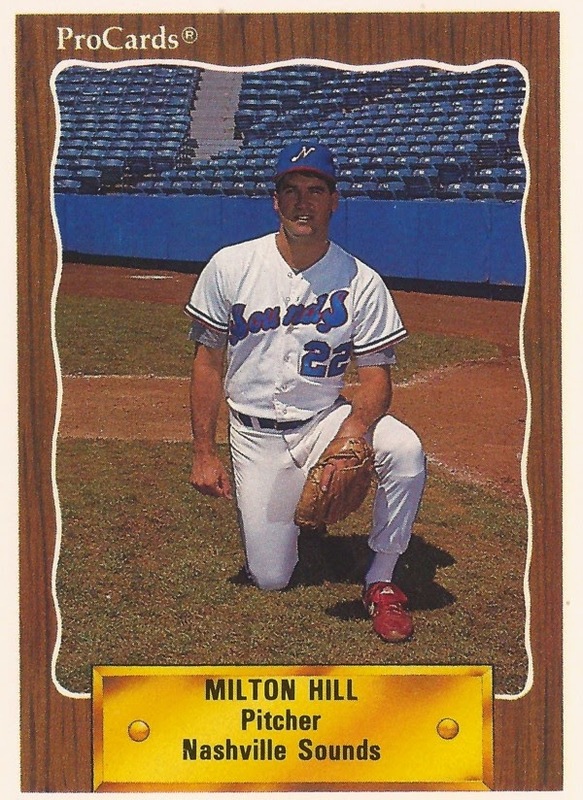 After seeing time in three major league seasons with the Reds, Milt Hill tried to find a home in 1994 with his hometown Braves. That spring, Braves manager Bobby Cox could see Hill doing just that, according to The Associated Press. "He throws an excellent split finger, is a good competitor and has no problem throwing strikes," Cox told The AP. Hill did make the Braves that year, but he got just 10 appearances before a June waiver claim by the Mariners. His time with the Mariners after the claim ended up being his last time in the majors. Hill's career began in 1987, taken by the Reds out of DeKalb College in the 28th round of the draft. Hill started with the Reds at rookie Billings, moving to single-A Cedar Rapids in 1988. He picked up 13 saves for Cedar Rapids and 13 more the next year at AA Chattanooga. He made AAA Nashville in 1990, then first made Cincinnati in 1991. With the Reds, Hill debuted in August, getting into 22 games in relief down the stretch. He gave up 14 earned runs in 33.1 innings pitched. Hill had an unsuccessful outing in September, blowing a save in the 12th inning, giving up two hits and a walk. "I was just trying to throw forkballs, keep the ball down and maybe get a grounder," Hill told The AP afterward of the deciding hit. "But I got the ball up in the strike zone and those pitches are not that tough to hit when you get them up." Hill returned to the Reds for 14 more relief outings in 1992, posting a 3.15 ERA in 20 innings of work. That spring, there was talk of Hill taking a Reds setup man spot, according to The AP. Hill also recounted to The AP how he learned his fork ball, the pitch he called his best. "I was told in the minors that the only chance I had to make it was to learn that pitch," Hill told The AP. "Shortly after I started it, I got called up." Hill pitched one more season with the Reds before moving to the Braves and Mariners for his final season in 1994. Hill played two more seasons in the minors, with the Pirates and the Orioles, ending his playing career. He has since gone on to a career as a coach and a scout. Most recently, he's served as a scout with the Rays.